Waiting for Spring? Don’t! Held Gloves for riding now! It goes without saying that motorcyclists get VERY anxious during the early spring. Unfortunately, we here at RevZilla are not immune to that feeling, as we anticipate the warmer days that are supposedly coming. Have no fear, there is a way to get your riding fix during these cold winter/early spring days. What is the trick? Actually, as it turns out, it’s not a trick, just proper cold-weather gear! The new Held Freezer II and Arctic gloves are great examples. 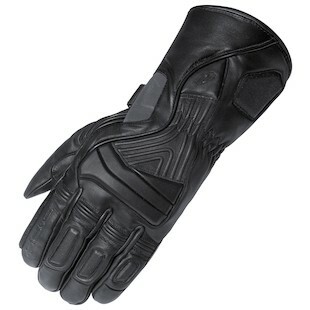 If you are thinking about riding to Alaska right now, you will need the Held Freezer II Gloves! The new Freezer II gloves are the latest rendition of the previously popular Held Freezer gloves. 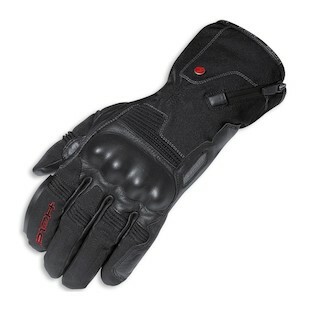 They feature a water-repellent aniline cowhide outer shell combined with a Primaloft lining to keep your precious hands nice and warm. Even though these gloves are lined, you do not have to worry about your hands getting clammy because they have a Gore-Tex waterproof, windproof, and breathable membrane. In addition to protecting you from frostbite, these gloves also protect you from impact with foam on the knuckles, fingers, palm and wrist. The new Held Arctic Gore-Tex gloves are an amazing mix of great tactile feel, protection and winter warmth. These gloves feature a goatskin palm along with 3M Thinsulate lining and the amazing Gore-Tex waterproof, windproof, and breathable membrane. The Arctic’s protection is top-notch and consists of leather-covered hard knuckle protection, a double layer of leather for the vulnerable pinky finger and the incredible superfabric on the palm. Lastly, due to the great tactile feel of these gloves, they should work perfectly for those fortunate riders with heated grips! Instead of wishing it was 80 degrees so you could go ride, put on either the Held Arctic or the Freezer II gloves and hit the open road. Just watch out for the black ice!